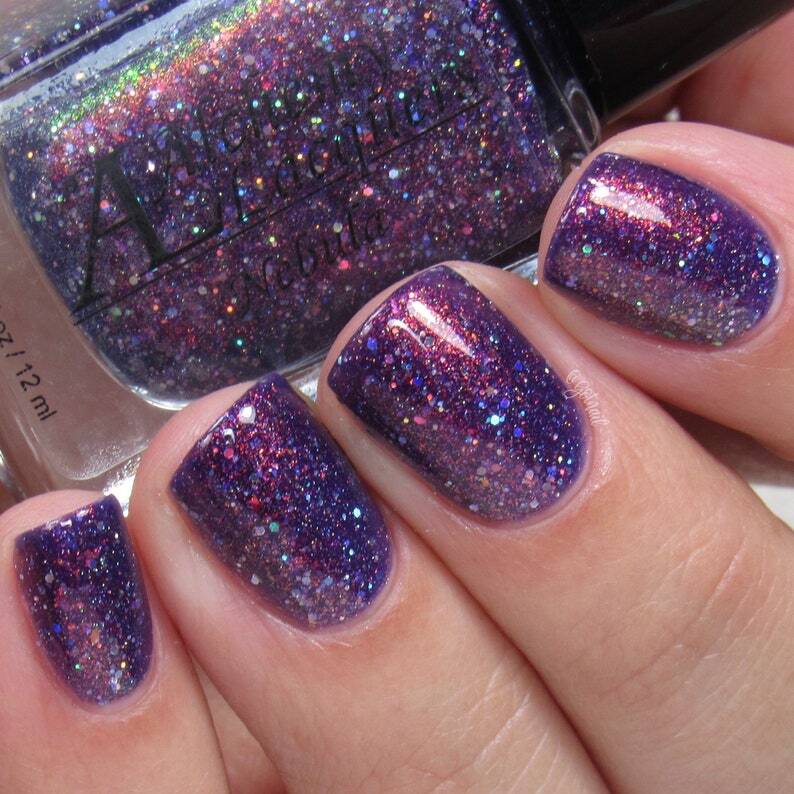 Nebula is a royal purple jelly nail lacquer with red/green shifting shimmer and multi-sized holographic glitter. This listing is for one bottle (12.0 ml / .41 fl oz) of Nebula. Swatches, courtesy of @gotnail, display 2 to 3 coats of Nebula. This was a gift. The color was very pretty and bright. I almost wanted to keep it for myself!